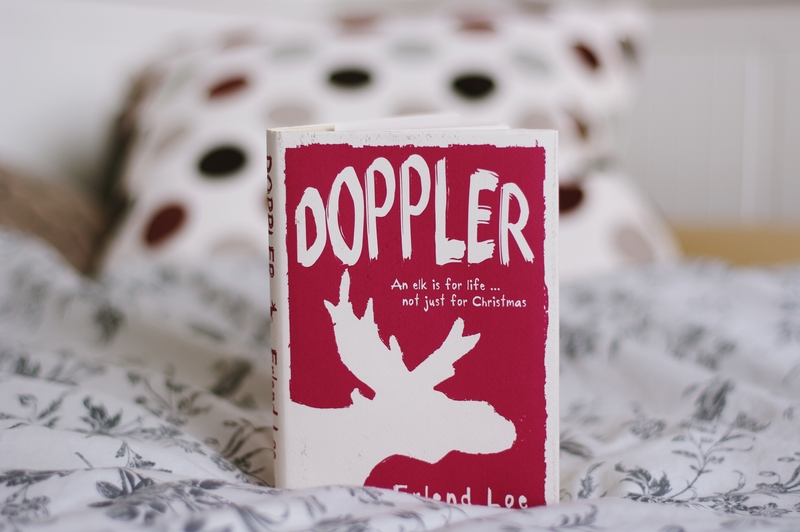 Doppler is a novel written by a Norwegian writer Erlend Loe. His writing is nothing complicated but it doesn't harm the outcome of the story, it is just pleasantly easy to read and also quite quick to read, which is something I appreciate from time to time. Doppler, the narrator, is a man with a steady alright-paid job, a family and a life people consider enjoyable. He is very keen on riding a bicycle. One day he goes for a ride into the woods and he hits a rock, falls from his bike and experiences something that might be considered an enlightenment. 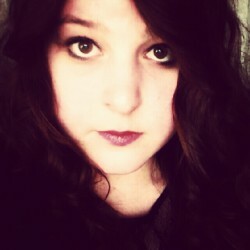 Suddenly, Doppler detests people and society as a whole, and is appaled by consumerism and money. 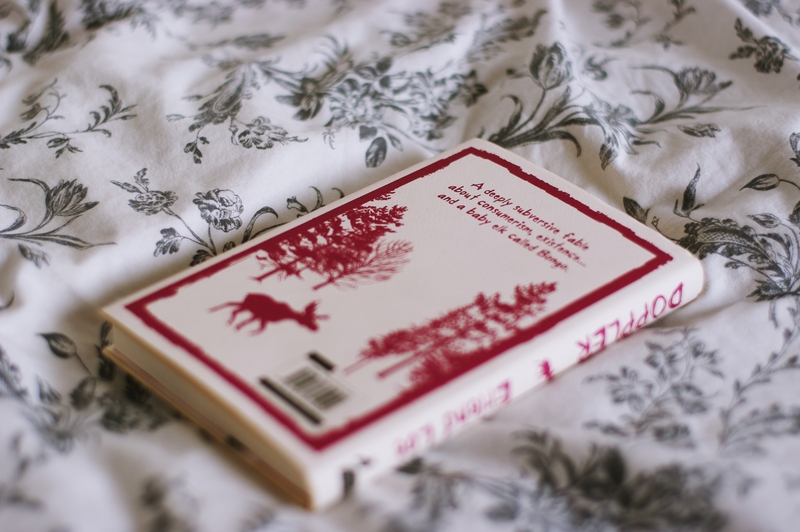 He decides the only way to solve what he is feeling is to move out into the forest. And so he does. In the forest, living in a tent, he needs some food, as he has no money to buy any. He has been stealing from a man's house for a while but the man had noticed and locked his back door, naturally enough. So Doppler must kill an elk to get meat, with which he could nourish himself and which he could exchange for other things, like skimmed milk, for example. There is a baby elk with the one Doppler kills, and it just won't go away, no matter how hard Doppler tries to chase it off. In the end, the baby elk who gets a name Bongo, becomes Doppler's friend and they live happily in the forest, together. Until one lovely day, people start liking the idea of living outside society, city and houses. People come to the forest and try to make friends with Doppler, which is something he doesn't like at all. After his son Gregus joins him in the tent outside the city, and lives with him for some time, Doppler, Bongo and Gregus prepare for a journey to some other forest, bigger forest, their forest.. and there is a to be continued sentence at the end of the book. So perhaps, we will get another story of Doppler and his baby elk. This book caught my eye merely because of the cover. I haven't heard of it before I saw it in the bookstore. Apparently, people have, but not me. When I read the synopsis in the back, I was hooked. I love these stories of people leaving societies, disliking people and not being able to live in a place where there are any people. I also truly enjoy stories in which animals have an important part in harmony with people. A few pages into the book, I was absolutely unable to stop reading. As I mentioned in the beginning, the way the story is told and the language that is used to do so is simply stunning. I read this so quickly and then I wished I didn't so that I could perhaps enjoy it a little bit more. Although I generally don't like books that do not have chapters, it didn't bother me so much with this one as there was something like chapters - the story is divided into months, starting in November and ending in May.